I was just a regular kid who loved cheerleading, swimming, road trips and running around with neighborhood friends. My worst medical fear was having to get a vaccination every few years. The most important thing to me was making my school’s cheerleading team, and how I would maximize my summertime fun--you know, normal kid stuff. I paid little attention to my sudden rapid weight loss, and would pull the drawstrings on my gym shorts a little tighter and continue with my day. My coach noticed, my parents noticed, and my skeletal state was spotlighted when I attended a friend’s pool party. My intense thirst and ability to chug a Gatorade in five seconds was the last straw for my mom, so she had my sugar tested. To our bafflement, I was diagnosed with the autoimmune condition that would, from that moment on, change the direction of my entire life. Fast forward around 19 years, I think, because it’s hard to keep up, the cure that was promised to me 10 years ago is nowhere in sight. In fact, we’ve gone backwards. Instead, I sit here game planning my life around how I’ll obtain the supplies I need, just to stay alive. In a time of such medical advancement, I feel like I’m trapped on a deserted island with scarce water and food source, and I’m just waking up every day to figure out the next step toward survival. I say it so much, “Insulin is life”, but it hits me so much harder as I watch my hand guide the needle into my leg, as bits of liquid enter my body. This really is my life, in this syringe, this is really it. I’m both terrified and angry that a drug created from such pure intentions has been relabeled as a game piece on the big Pharma monopoly board. While other aspects of humanity take great leaps forward, we have spiraled backwards, out of control, in the medical world. Patient’s lives are merely secondary—I’m secondary. This has significantly tested my ability to trust that there’s always potential for good in the human heart, that I’m seen as more than a sack full of cash by the very people who pretend to safeguard my wellbeing. I can sit here and be upset and blame the world—some days consist of that, to be honest. But my heart believes there are more people who care than don’t, so challenging people to do something about this humanitarian crisis has become an unexpected part of my life. Stories of financial struggle, devastating complications and even death have worked their way through the veins of advocacy, and the world is paying attention, the tides are shifting. But if one thing repetitively tosses a wrench in progress it’s misunderstandings, misconceptions and uneducated statements surrounding type 1 diabetes. Our society seems to easily fall into accepting false stereotypes surrounding the disease. A starting point for us all, would be to understand any disease before judging it. Type 1 is autoimmune—the pancreas doesn’t work, despite living a healthy, balanced life. Having a disease that requires 24/7 life or death decisions is grueling, even without having to convince the world you deserve the medication that keeps you alive. Misconceptions add to weariness already heavily existent in the everyday lives of type 1 diabetics. I like to tell people I’m used to having diabetes--that’s not really true, I’ll never be used to it. My sugar can soar to 400 when I haven’t eaten a bite, I’m exhausted to the core of my being, I’ve resorted to challenging alternative therapies—sometimes I don’t know how I’ll muster the energy for the next day. Blood sugar fluctuations cause depression, anxiety, mood swings, infections, lethargy, and after year, one can feel pretty beat up. But two things push me—knowing that I can use my voice for change, and that one day, I’ll be cured. Sometimes, I wonder how my optimism hasn’t depleted. In my heart I know there’s something more than this world—it’s the only answer that makes sense to me. It doesn’t mean I don’t get angry about things, but I’ve accepted bad stuff happens in this imperfect world, and the only reason I’m still kicking, despite all my body has been through, is because someone is looking out for me—someone has a designated purpose for me. I’ve gained more faith through the process. Watching other people fight even harder than I have to further convinces me that I can do this. Others amaze me with their ability to speak out in heart wrenching situations, to take risks to attain the things they need and fearlessly advocate in every spare moment of time they have. Diabetics and their families are underestimated—we are dealing with a dangerous ailment, while the government and big Pharma crushes us under their feet. Stigmas have been cultivated for years, downplaying the severity of it all, and creating an overwhelming amount of misinformation. But the community is becoming resilient, brushing off those comments that don’t define us and forging forward with more important things. We push society to take notice, we use our voices to redirect mindsets, we want to help everyone understand the problem. A lifesaving drug developed 100 years ago, which was sold by its creators for a total of $3, just so it could be accessible, is now financially out of reach for the majority. To buy our “oxygen”, we take out loans, borrow money, sell our belongings and travel to foreign countries. It’s a terrifying issue that went under the radar for too long, but now, society is responding. Media is responding. And we must keep the momentum going. What we have to do now is let our politicians know that the lack of drug transparency laws for Big Pharma is unacceptable. Let us see where the problem lies—insurance companies, pharmacy benefit managers, the insulin companies, or all of them. Currently an investigation is being launched by congress into seven pharmaceutical companies, including the major three insulin manufacturers, Sanofi, Novo Nordisk and Eli Lilly—this in itself shows the impact of patient advocacy. Our nation is responding, and I’m forever grateful. Even Eli Lilly is digging for decoys like the announcement of their lower priced generic—but we know that patients are still left vulnerable to price hikes and paying too much for a life-saving drug. But it’s a strong sign that they’re feeling the pressure. We need to build off of this momentum and continue to propel ourselves forward to pursue policy change while raising awareness. 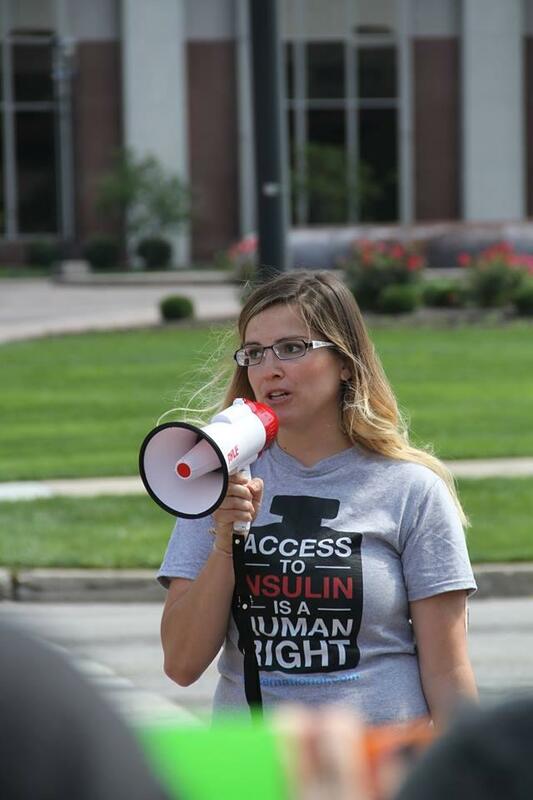 People can join one of the #insulin4all Chapters in the US, headed by T1International, to advocate and push forward progress. Even if you don’t need insulin, chances are you’ll be impacted medically at some point, and this battle will be an iconic example and preventative tool in our future. Federal Court: Medicaid Work Requirements Don’t Work. Last week, a U.S. District Court judge struck down the Trump Administration-encouraged work requirements on Medicaid enrollees in Arkansas and Kentucky (for the second time). The Arkansas decision led off with the story of Adrian McGonigal, who was working but struggled to comply with the red tape of work requirements. McGonigal lost his medical care and then his job when he was too sick to work—a result that has is likely to reoccur thousands of times if work requirements stand. Should We Treat Medicines Like We Treat Utilities? A Maryland House Committee moved forward a proposal to treat medicines like public utilities, setting prices the same way utilities’ rates are set. Faith in Healthcare’s editor has previously written about the merits of this approach: it reflects the huge amount of taxpayer dollars already spent paying for medicines’ development, along with the critical societal need for affordability. Making Sense of the Different Healthcare Proposals. Many thanks to Drs. Steffie Woolhander and David Himmelstein for publishing in the Annals of Internal Medicine a well-designed chart that clearly shows the differences Medicare for All (Single Payer), Medicare for America, Medicare Public Option, Medicaid Public Option, etc.